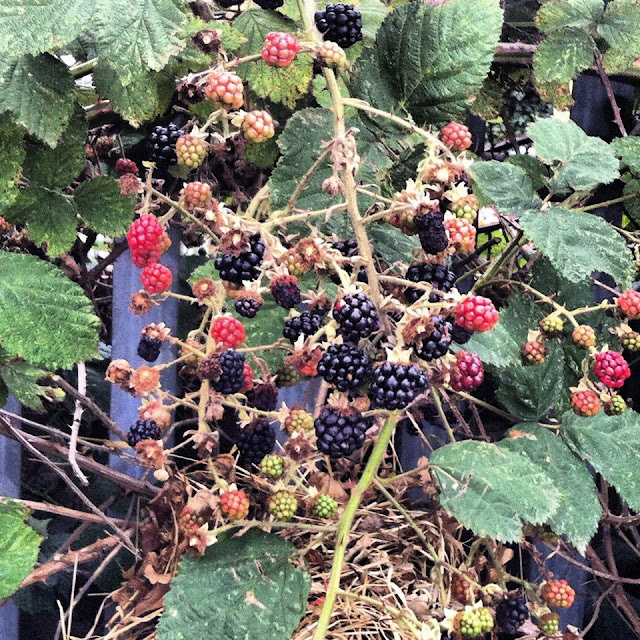 See those yummy blackberries in the photo? England is covered with these bushes just randomly growing everywhere, and I don't ever see anyone actually picking them! This particular photo was taken at the tube station, when I just so happened to park near them. Let's just say I went home with quite a bounty. :) There is a public trail near my house and last year I've discovered whole bunch of blackberry bushes, as well as wild apples and plums growing there, so now I make sure to go every week and pick the fruits. I've never seen anything like that in the USA and I get very excited when I can go for a walk and come back with whole bunch of things.